I love novelty items as much as the next gal, but while I think the cute & pretty ones are a-okay, there’s nothing better than a novelty item that will actually make you smile. Extra points go to those that can take you a step further by making you chuckle or laugh out loud the first time you see them. Since I hate the idea of buying something I will never use, I prefer to only buy novelty items in the form of things I know I’ll use day-to-day. On top of that, I love surrounding myself with items I love, that I can’t help but smile at every so often. These two completely trivial facts about me mean that when I do buy novelty items, they end up being t-shirts I wear regularly to bed, or coffee mugs which I’ll use every morning – maybe biscuit/cookie jars to store food in, or something along those lines. Basically, funny t-shirts & coffee mugs strike me as the perfect novelty items, as they won’t go to waste like miniatures and figurines I feel almost certainly would in my household. I used to sleep in an Evolution of a Canadian t-shirt until I wore it to shreds. 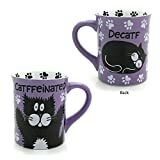 These hilarious cat mugs? They’re my daytime version of that funny t-shirt. Let me show you the favourites I’ve found! As an individual who finds it draining to even attempt to make conversation with another human being, I seriously empathize with the whole, “Leave me alone I’m only talking to my cat today” sentiment. Perfect quote-on-a-mug for someone like me. 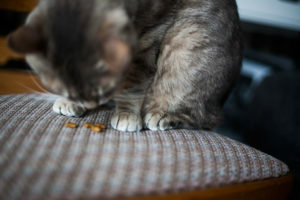 What an amazing one-liner – “Everything tastes better with cat hair in it.” As cat-owned humans know well, if you’ve got even one cat, even if you clean well, there will always be cat hair everywhere in your house. And yes, this includes your dinner, your snacks, and your morning coffee. A fact I’ve mused about many times, and have even spoken about on this blog before. 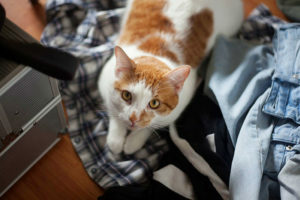 One thing I never realized when I was a catless cat-lover, but now know and feel all too well. Hilarious! So good! As the child of two first-generation Canadians, I grew up hearing, “I’ve worked hard so you can live a better life” so many times before I can’t count. What an excellent way to spin the all-too-often-used line immigrant parents tell their kids. I swear if I got this one for my mom, she’d die laughing. 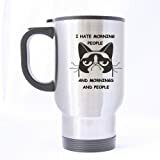 Nothing better than a travel mug featuring Grumpy Cat expressing your thoughts about mornings: “I hate morning people and mornings and people.” My soul animal pretty much! Now, this one would be pretty amusing to use every morning, but if you ever had new guests over, would be even more hilarious to whip out, I think. 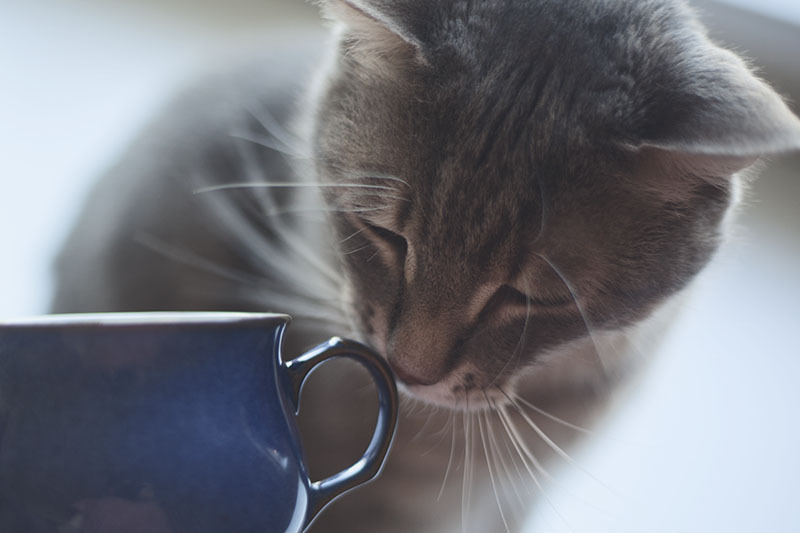 Imagine giving a cup of coffee or tea in this mug to a house guest who had never seen it before, then watching their face as they begin to see the tips of the little kitty’s ears surface… then more and more of a cat until they saw the whole thing. The best, I think. And an excellent conversation starter. I know this one is a bit ridiculous, but I love the look of that cat – what a goofy illustration! I don’t think I could resist smiling every morning faced with this mug by my side. Funny Gift Mug For Cat Lovers - "I Have A Boyfriend..."
One of my favourite cat mugs of them all! Reads: “I have a boyfriend – Oh wait. No. That’s a cat. 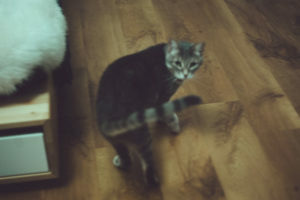 That’s a cat.” So good! If I was single this would absolutely be on the top of my to-buy-for-myself list. Love this mug! 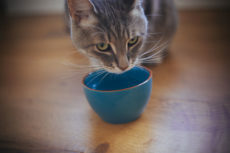 Actually discovered this company makes a slew of amazing witty cat mugs. Check ’em out if you liked this one! This one seriously makes me laugh out loud. “You still asleep, human?” next to a Pewdiepie-esque face. 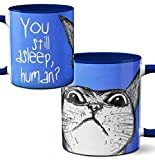 Essentially a meme-themed cat mug that looks like it came straight off of Imgur and is completely Reddit worthy, IN MY OPINION; – don’t release your wrath on me, Reddit; apologies in advance if you disagree!! 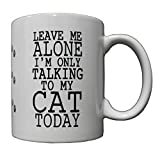 Still on the topic of cats demanding attention from their owners – this hilarious mug. Adorable illustration of an angry cat in front of a computer with the words, “You are not paying attention to me. 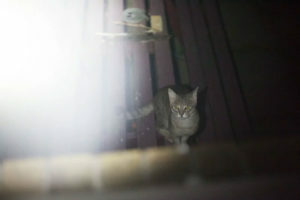 This is unacceptable.” – I mean how could a cat-owned person not relate? Hahaha! Whenever you’re looking into funny cat stuff, you’ve gotta make room for the puns. Definitely one of my favourite in terms of puns-on-mugs this one is. Nice! 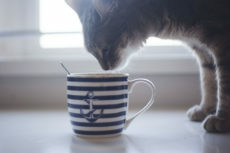 The absolute BEST – amazing mug for a cat-lady with 3, 4, 5 or more cats! One incredibly funny spin off of the whole “crazy cat lady” line. 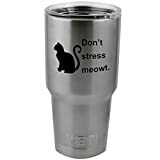 Good conversation starter if you have something like this at the office – or conversation finisher if you’ve been called a crazy cat lady before. Not quite yet, according to this mug!! 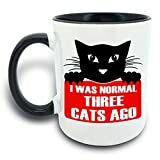 If you’d rather accept defeat and proclaim your cat-craze to the world instead of denying it, this is the perfect message on a mug to be doing it with: “I was normal three cats ago.” So good, and once I’m up to 3-4 cats, can see myself making the dive and grabbing one of these mugs. So great. “I’m not bossy, I’m the boss.” Again, perfect for the workplace. 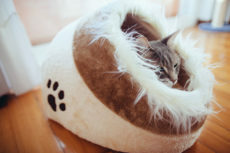 I think if I had a boss who was a cat lady, I’d buy this as a gift for her. Perfection! Am sure it would be well-appreciated. A sentiment I’m pretty sure every cat person has felt so often in his/her life it’s ridiculous. Yes. Cats are better than people. Yes, this is a great way to show you acknowledge that fact. I loooove messages like these because they currently fit me to a “t.” Yes, I treat my cat like he’s a baby – but that’s because he is my baby. 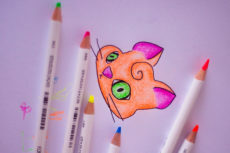 I don’t care what anybody says – cats can so be kids! 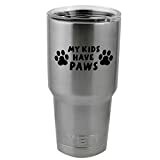 So can dogs for that matter, so if you’ve got both, this is the perfect decal for you! “I’m punching you with my eyes” – I happen to think this one is hilarious. 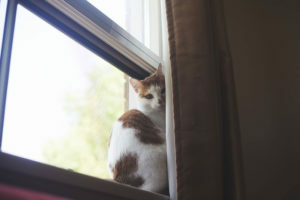 If looks could kill, kitties would all be people-murderers. They’re just so good at glares it’s ridiculous. Still on the topic of cats with cattitude, this hilarious thing! Another one I couldn’t help but chuckle at when I first laid eyes on it. Game of Thrones obsessed? We sure are. 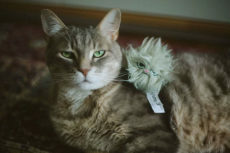 Daenerys Targaryen has her dragons and I have my cats. 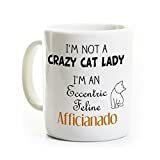 Such a perfect coffee mug for cat-lady fans of the show! Yes, another pun, but I think this one is super hilarious. Actually made me chuckle when I read it. Maybe I’m a bit too easily amused, but good puns are probably my favourite type of humor. 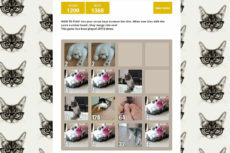 “I’m not a crazy cat lady – I’m an eccentric feline afficionado” YES!! On so many levels, yes!!! I love this mug to absolute bits and am seriously thinking of getting it for myself. 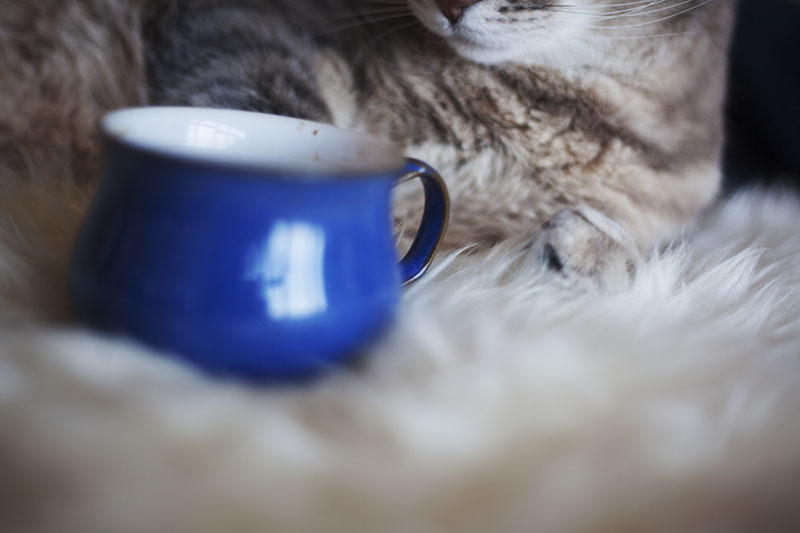 Which Funny Cat Mugs Do You Like Best? 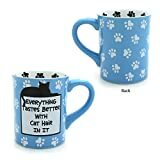 Like any of the funny cat mugs listed above? Found any others that you like better? Are you into novelty items at all or do you dislike them on principle? 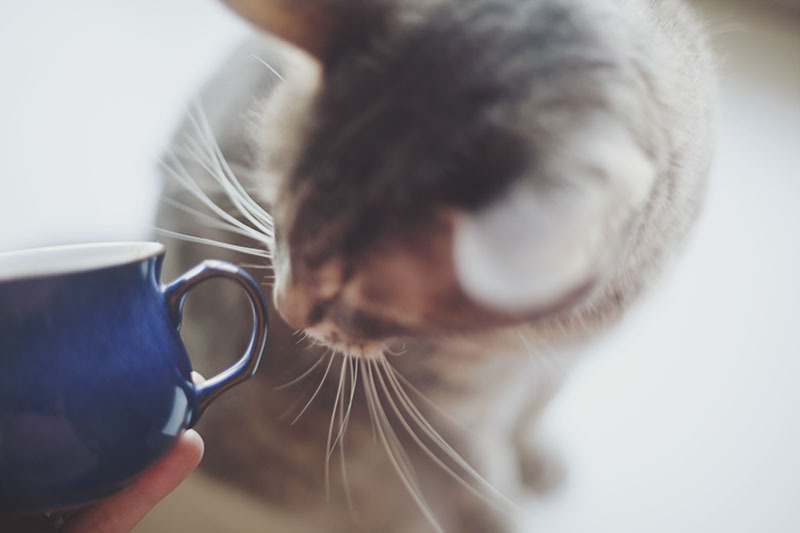 Ever seen a cat mug you couldn’t resist? Own any or gifted any to friends? And how do you feel about cat-puns? Our cabinets are filled with mugs, but some of these are too cute to pass up on!